In a dramatic turn of events the actor who claimed he was the subject of racist and homphobic attacks had all 16 charges against him dropped by Chicago Police. Josh Smollett commented that he felt vindicated that the Police had dropped the charges against him in a move that angered the Chief Of Police and the Mayor. His lawyer, Patricia Brown Holmes, said, "he was a victim who has been vilified and made to appear as a perpetrator". She further commented that his record had now been "wiped clean". In response Eddie Johnson, Police Superintendent, said that Smollett had created a "hoax" and been let off without accountability for "the moral and ethical wrong of his actions". 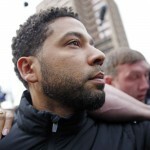 It was earlier claimed that Smollett had claimed to be attacked by two masked men who put a noose over his head, beat him up, and then flung racist insults at him. Initially the police claimed it was all a publicity stunt perpetrated with the aim to both promote himself and use that notoriety as a method to increase his salary from the hit US tv promramme, Empire. It was not made clear as to why the US Authorities have decided to cease further court action. Our Croydon solicitors offer professional, impartial advice on a range of legal matters and will strive for the best outcome for you and your family. We can assist with crime allegations, divorce, family law, immigration, and Wills and probate.